For a bespoke website made for you, the way you want it. Most website companies are so big, with many different departments, they become detached from their clients. When you request a change it can go through multiple people before it reaches the developer, but not with Jadeh. You will have direct contact with me, the manager, designer, creater and developer. Hi, I'm Jade and I can help you by creating and maintaining your own personalized website. Whether you want a simple, one page, website to supply your contact details, or an e-commerce site to sell to your customers. I can make you a fantastic website with 14 years, and over 9 years professional, experiance. All at affordable prices, you pay for what you want and need, not for the extras you'll never use. 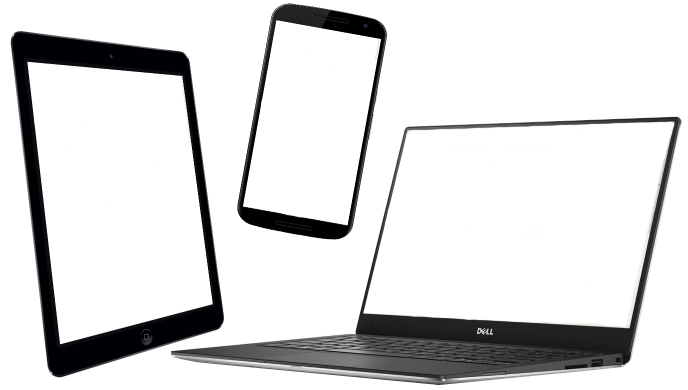 These days websites are accessed through a smorgasbord of devices, so it's important that your website fits and appears perfectly on every desktop, laptop, tablet and phone. I make this an upmost priority when designing any website, helping you to target as many customers as possible.